Hello everyone, tonight at 11:00PM KST Shinhye's new drama 'Flower Boy Next Door' will begin its first broadcast on cable tv channel tvN. 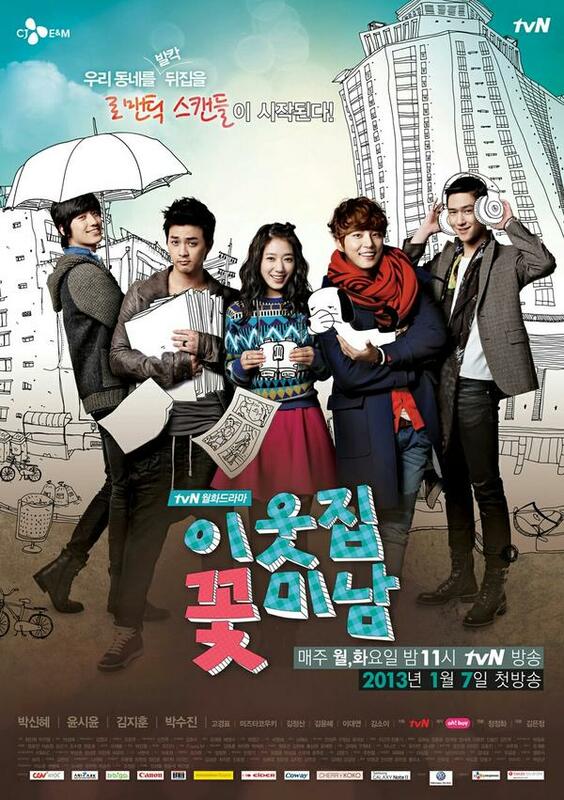 This is Shinhye's first regular drama series since Heartstrings in 2011 and we at PSHIFC are very excited about it! We know that you are all anticipating the drama too and would like to invite you guys to watch episode 1 of Flower Boy Next Door live with us tonight! How to watch it with us? 2. Log into the chatbox on our website and chat with our admins and fellow fans during the drama! In case you cannot watch it, follow us on Twitter ( http://www.twitter.com/PSH_IFC )as we will be providing a live feed of the drama tonight ^^. See you at 11! what is the link for streaming password are? sighs because of your posting the links on twitter CHingzy just cut off her stream, i hope you were considerate and did not post it on twitter! sorry for this comment, it was not you who posted. pardon me for posting this too hastily.